Why a "Dry Stream Bed"
The Benefits of a "Dry Stream Bed"
A Dry Stream "Lawn Replacement"
Western Landscape Design - Home of the "Dry Stream Bed"
One alternative to the standard water feature is the “waterless pond”. Such features maintain some water movement creating the sound of flow, while limiting the maintenance and cost issues of a standard water feature. In the “waterless pond”, water moves only a short distance from point of distribution e.g. 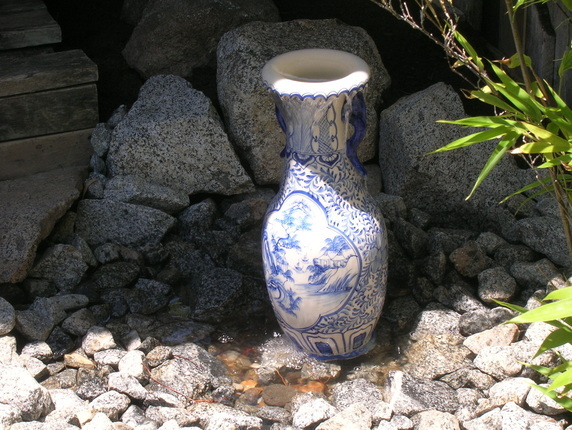 an overflowing water pot - to the point of collection. Water is collected beneath a rock layer into a deep basin for recirculation. The water is visible as it flows or trickles and then disappears beneath a rock course into a hidden basin where the majority of the water is contained. Because the water is exposed less to sunlight, the growth of algae is decreased. Thus, these features generally have less maintenance and costs issues when compared with standard water features. The cost of initial installation is usually more than a dry stream bed, but significantly less than that of a pond, or larger water feature. The “waterless pond” has the same soothing effect of flowing water – heard in a trickle or flow (depending upon the volume of water circulated), yet without the expense of the traditional water feature. 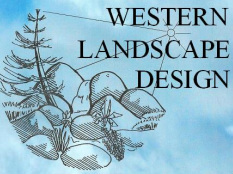 To learn more about how Western Landscape Design can join you in meeting your landscape needs, please call us at (559)907-9463 or submit an email inquiry below. References Found on Thumbtack . In Thumbtack, Western Landscape Design is one of Clovis' top three landscape contractors.